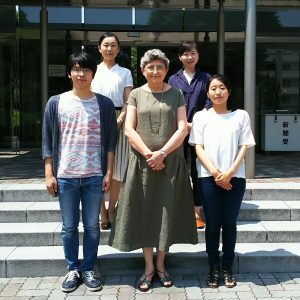 NIRS Laboratory is the cradle of aquaphotomics, a new scientific discipline, proposed by Professor Roumiana Tsenkova in 2005. The laboratory is working on various applications and new developments in the area of near infrared spectroscopy (NIRS) as non-destructive technology for monitoring and diagnosis of biological and aqueous systems. Qualitative and quantitative analysis applied in biological- and food-related research and technology, as well as understanding new phenomena related to water in biology are the main area of interest. We proposed a new scientific area called aquaphotomics as a new member in the “omics” area devoted to examine “all about the interaction between water and light” and present spectroscopy as an important tool to study the functionality of water in Life science.